Mix some camping, with loads of glamour and a good dose of business sense, and the result is a fantastic home based business that looks set to beat the troubled economy. Across the UK we are seeing an increase in home-based businesses and cottage industries. It seems when you can’t find a job there’s only one thing to do… make one. And as glamping is also on the increase its only natural we see the two pair up. Camping holidays are becoming more popular now that families are cutting back on certain luxuries, and with holiday chaos felt after volcano ash clouds, airport strikes, freak weather and natural disasters, many people are deciding to stay closer to home. Visit England reported an 11% increase in this type of trip in Great Britain in 2011. With the Olympics and Jubilee this year giving us more reasons to holiday in our own beautify country we suspect these figures will only increase. This has fuelled the imaginations of entrepreneurs who have used camping with a modern twist to establish more home-based businesses, such as hire companies, product sales, unique campsites and eco-tourism. From yurts, bell tents, vintage caravans and camper vans, those who love to camp and to glamp have never been so spoilt for choice on what they can do for a relaxing break outdoors. Creating a business from scratch can be exciting and rewarding, but it also involves time and effort. For many people the reason they do it is to maintain control of their future and keep a sense of freedom, but you need determination, humility and decisiveness in order to achieve this. One of the keys to developing a successful business is to offer customers a high quality product or service that they will enjoy in many different forms, and will inspire them to keep coming back for more. In order to keep delivery standards high it is advisable to offer something you enjoy and that you have a genuine passion for. That’s the philosophy of Amanda Dunn who has recently launched her business Billy One Horn Vintage Caravans. 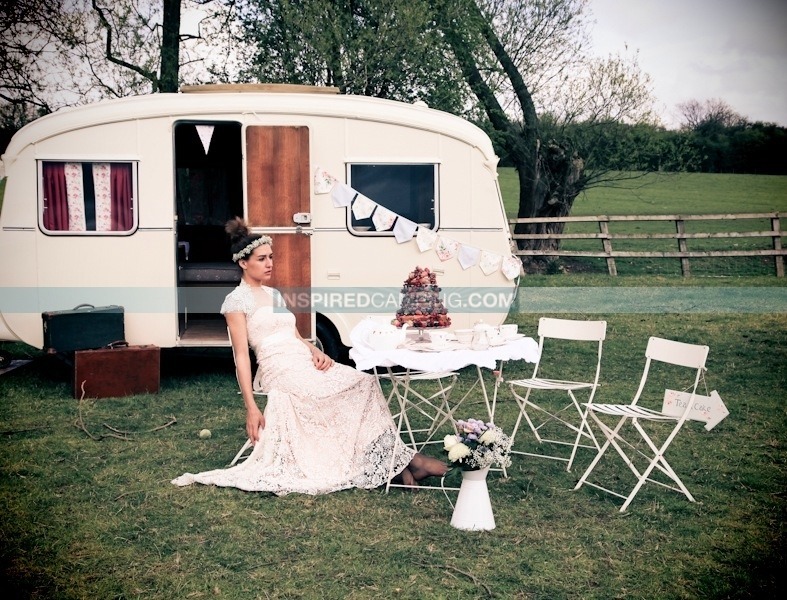 Amanda offers vintage caravan hire for camping holidays, glamping boutique camping and weddings, all with a vintage flavour giving customers the experience of a lifetime. We chatted to her to hear the story of how she set up her camping business and to see if she had any tips for anyone else thinking of starting a similar enterprise. We bought our first vintage caravan in January 2012, our second in February, and then the third in March. Initially we set about renovating the caravans, sourcing replacement parts, requesting quotes for respray work, pulling together interior colours etc, but with Easter only a matter of weeks away, I was very aware I needed to crack on with marketing. In February I built the bones of my website, then in early March, Hayley Southwood from the company Vintage Scoops gave me a two-hour tutorial on twitter. Then together with Billy One Horn, I was launched into the huge world of social media. My web-based marketing continued through April, but so did a plan to co-ordinate a collaborative photo shoot. I knew I needed strong, visual images to draw in my audience but there was no way I could justify the budget to execute a professional shoot myself. So I approached like-minded local vintage-based businesses to see whether we could work together and achieve a photo shoot that would benefit all and dilute overall costs to the individual. At the beginning of May we employed Shaneen Rosewarne Cox, an established vintage photographer to do our photo shoot. By then we had a growing list of contributors: vintage teas, vintage crockery, vintage stylist, wedding dress designer, vintage florist, theatre costume supplier, tea dress manufacturer, outdoor corporate events company, vintage cushion supplier etc. Completing the work on the caravans to the standard I wanted, and coordinating my first photo shoot with so many participants, was without doubt one of the most challenging projects I’ve embarked on since leaving industry, but the results were beyond expectations. We were all thrilled when Shaneen received a call from Vogue Italia, to request permission to feature one of ‘our’ pictures on their website. That picture epitomises everything Billy One Horn is about: British countryside, authentic vintage, laughter and friendships and it really did speak for itself. The hard push with early marketing paid off when we started to receive calls from customers. Both caravans were booked for the Jubilee week very early on and we received our first wedding booking for June 2012 back in early April. 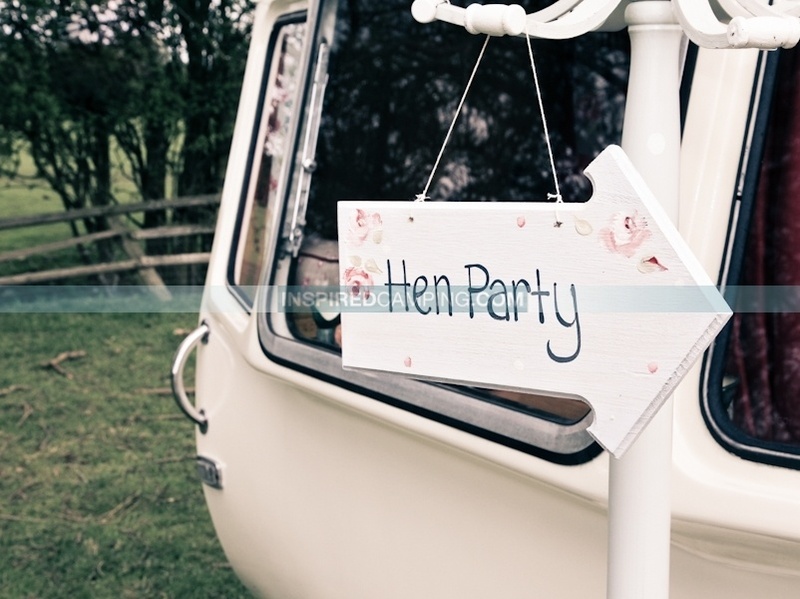 This weekend we host our first hen party: a champagne afternoon tea for 16 across generations, followed by close friends enjoying a glamping weekend! Everywhere we so promotions we receive so much interest, whether it’s a wedding fayre, vintage market, social media or articles in local papers. The images of the caravans really sell our service. Running any business has ups and downs but I can honestly say that working in the vintage sector has completely restored my faith in British business values. There is a sincerity and belief in traditional values here that I don’t see in other business sectors we have interests in. For that reason alone I love my vintage caravans, but I also gain great pleasure from offering the best service I can to my customers and seeing them enjoy something I’ve created. To anyone considering establishing a camping based business I would say; only do it if you have a genuine passion for hard work and a love of the British weather. Thankfully as a farmer’s daughter I have inherited both! Vintage and glamping are both bang on trend at the moment. The Olympics and Queen’s Jubilee have given a great patriotic feel to the country and a surge in vintage interest, while the fashion for glamorous camping seems to hold no bars! The challenge will be to retain and improve on that interest in 2013. We don’t intend to stand still here at Billy One Horn. We have recently acquired a vintage marquee, which we will furnish boutique-style in time for summer 2012. We will be able to offer accommodation under one roof for parties of 10-16, which is perfect for girlee glamping, but also great for parties of two or three families. There will be a sleeping area, with roll-up feather mattresses and chintzy bed linen, a communal area with bunting, huge beanbags and floor cushions, together with a long table where all can sit around and enjoy the warmth of the campfire. Longer term, we’ll be investigating how Billy One Horn can get involved in weddings. Location, location, location: Track down the best location you can for a glamping site. Authentic vintage is strongly preferable. Use styling and create an authentic ambience around the glamping site, not simply within the accommodation area. Using vintage artefacts such as milk churns, tin baths, troughs, and fire pits in original animal feeders, to create a holistic experience can do this. Always go that extra mile and don’t stand still. Constantly look at ways to add/improve on your service and to stay ahead of the game. And finally my key recommendation to kick-start a successful business is to work as part of a team. If you look you will find many businesses out there ready to work in partnership with you if you ask. Supporting each other can help all the businesses become stronger and I would encourage any new business to get out there and network as soon as possible. We team up with local businesses where we have identified added value to our customers, such as the opportunity of a vintage experience (afternoon tea, vintage tandem ride) or simply, sumptuous locally produced food baskets. 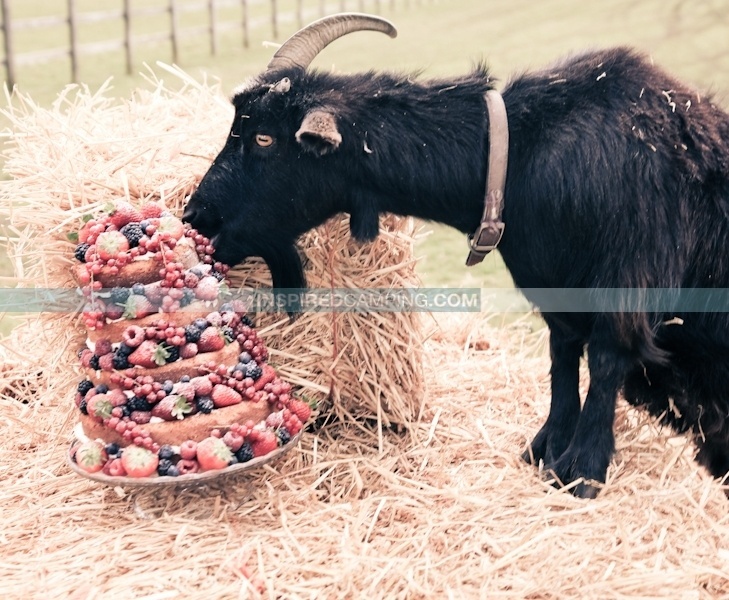 Billy… having his cake and eating it! Billy One Horn Vintage Caravans location, caravans, Billy and having such great friends to model, Ruby’s Vintage Tea Parties Styling, Henrys of Winslow Afternoon Tea, Polka Dot Winslow Wooden signs, homemade china and styling, Angel Lifestyle Cushions, Florrie Fleur Flowers, Poppy Children Frocks, Johanna Hehir Wedding Dress. Special thanks to Hayley Southwood from Vintage Scoops for all the help and advice.